4350010 5860 Landini 5860 tractor Parts Catalog. Service (workshop / repair) manual. Operation manual. 4350011 6860 Landini 6860 tractor Parts Catalog. Service (workshop / repair) manual. Operation manual. 4350012 8860 Landini 8860 tractor Parts Catalog. Service (workshop / repair) manual. Operation manual. 4350013 7860ES Landini 7860ES tractor Parts Catalog. Service (workshop / repair) manual. Operation manual. 4350014 8860S Landini 8860S tractor Parts Catalog. Service (workshop / repair) manual. Operation manual. 4350015 Alpine 65 Landini Alpine 65 tractor Parts Catalog. Service (workshop / repair) manual. Operation manual. 4350016 Alpine 75 Landini Alpine 75 tractor Parts Catalog. Service (workshop / repair) manual. Operation manual. 4350017 Alpine 85 Landini Alpine 85 tractor Parts Catalog. Service (workshop / repair) manual. Operation manual. 4350018 Atlantis 70 Landini Atlantis 70 tractor Parts Catalog. Service (workshop / repair) manual. Operation manual. 4350019 Atlantis 75 Landini Atlantis 75 tractor Parts Catalog. Service (workshop / repair) manual. Operation manual. 4350020 Atlantis 80 Landini Atlantis 80 tractor Parts Catalog. Service (workshop / repair) manual. Operation manual. 4350021 Atlantis 85 Landini Atlantis 85 tractor Parts Catalog. Service (workshop / repair) manual. Operation manual. 4350022 Atlantis 90 Landini Atlantis 90 tractor Parts Catalog. Service (workshop / repair) manual. Operation manual. 4350023 Atlantis 100 Landini Atlantis 100 tractor Parts Catalog. Service (workshop / repair) manual. Operation manual. 4350024 Ghibli 80 Landini Ghibli 80 tractor Parts Catalog. Service (workshop / repair) manual. Operation manual. 4350025 Ghibli 90 Landini Ghibli 90 tractor Parts Catalog. Service (workshop / repair) manual. Operation manual. 4350026 Ghibli 100 Landini Ghibli 100 tractor Parts Catalog. Service (workshop / repair) manual. Operation manual. 4350027 Global Farm 90 Landini Global Farm 90 tractor Parts Catalog. Service (workshop / repair) manual. Operation manual. 4350028 Global Farm 95 Landini Global Farm 95 tractor Parts Catalog. Service (workshop / repair) manual. Operation manual. 4350029 Global Farm 100 Landini Global Farm 100 tractor Parts Catalog. Service (workshop / repair) manual. Operation manual. 4350030 Global Farm 105 Landini Global Farm 105 tractor Parts Catalog. Service (workshop / repair) manual. Operation manual. 4350031 Globus 55 Landini Globus 55 tractor Parts Catalog. Service (workshop / repair) manual. Operation manual. 4350032 Globus 65 Landini Globus 65 tractor Parts Catalog. Service (workshop / repair) manual. Operation manual. 4350033 Globus 75 Landini Globus 75 tractor Parts Catalog. Service (workshop / repair) manual. Operation manual. 4350034 Legend 105 Landini Legend 105 tractor Parts Catalog. Service (workshop / repair) manual. Operation manual. 4350035 Legend 115 New generation Landini Legend 115 New generation tractor Parts Catalog. Service (workshop / repair) manual. Operation manual. 4350036 Legend 115 Landini Legend 115 tractor Parts Catalog. Service (workshop / repair) manual. Operation manual. 4350037 Legend 120 New generation Landini Legend 120 New generation tractor Parts Catalog. Service (workshop / repair) manual. Operation manual. 4350038 Legend 125 TDI Landini Legend 125 TDI tractor Parts Catalog. Service (workshop / repair) manual. Operation manual. 4350039 Legend 125 Landini Legend 125 tractor Parts Catalog. Service (workshop / repair) manual. Operation manual. 4350040 Legend 130 New generation Landini Legend 130 New generation tractor Parts Catalog. Service (workshop / repair) manual. Operation manual. 4350041 Legend 130 Landini Legend 130 tractor Parts Catalog. Service (workshop / repair) manual. Operation manual. 4350042 Legend 135 TDI Landini Legend 135 TDI tractor Parts Catalog. Service (workshop / repair) manual. Operation manual. 4350043 Legend 135 Landini Legend 135 tractor Parts Catalog. Service (workshop / repair) manual. Operation manual. 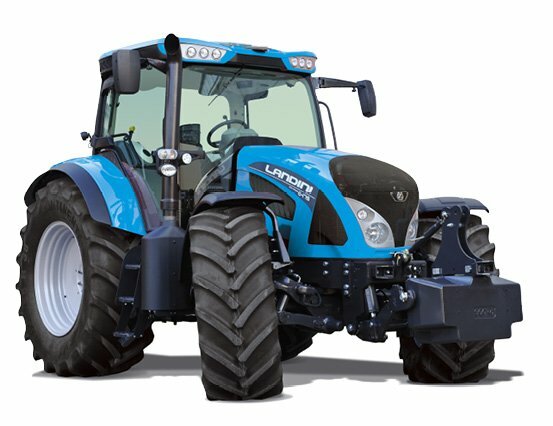 4350044 Legend 140 New generation Landini Legend 140 New generation tractor Parts Catalog. Service (workshop / repair) manual. Operation manual. 4350045 Legend 145 Landini Legend 145 tractor Parts Catalog. Service (workshop / repair) manual. Operation manual. 4350046 Legend 145 TDI Landini Legend 145 TDI tractor Parts Catalog. Service (workshop / repair) manual. Operation manual. 4350047 Legend 160 New generation Landini Legend 160 New generation tractor Parts Catalog. Service (workshop / repair) manual. Operation manual. 4350048 Legend 165 Landini Legend 165 tractor Parts Catalog. Service (workshop / repair) manual. Operation manual. 4350049 Legend 165 TDI Landini Legend 165 TDI tractor Parts Catalog. Service (workshop / repair) manual. Operation manual. 4350050 Legend 180 New generation Landini Legend 180 New generation tractor Parts Catalog. Service (workshop / repair) manual. Operation manual. 4350051 Legend 185 Landini Legend 185 tractor Parts Catalog. Service (workshop / repair) manual. Operation manual. 4350052 Legend 185 TDI Landini Legend 185 TDI tractor Parts Catalog. Service (workshop / repair) manual. Operation manual. 4350053 Mistral 40 Landini Mistral 40 tractor Parts Catalog. Service (workshop / repair) manual. Operation manual. 4350054 Mistral 45 Landini Mistral 45 tractor Parts Catalog. Service (workshop / repair) manual. Operation manual. 4350055 Mistral 50 Landini Mistral 50 tractor Parts Catalog. Service (workshop / repair) manual. Operation manual. 4350056 Muthos 90 Landini Muthos 90 tractor Parts Catalog. Service (workshop / repair) manual. Operation manual. 4350057 Muthos 100 Landini Muthos 100 tractor Parts Catalog. Service (workshop / repair) manual. Operation manual. 4350058 Muthos 110 Landini Muthos 110 tractor Parts Catalog. Service (workshop / repair) manual. Operation manual. 4350059 Powerfarm 60 Landini Powerfarm 60 tractor Parts Catalog. Service (workshop / repair) manual. Operation manual. 4350060 Powerfarm 65 Landini Powerfarm 65 tractor Parts Catalog. Service (workshop / repair) manual. Operation manual. 4350061 Powerfarm 75 Landini Powerfarm 75 tractor Parts Catalog. Service (workshop / repair) manual. Operation manual. 4350062 Powerfarm 85 Landini Powerfarm 85 tractor Parts Catalog. Service (workshop / repair) manual. Operation manual. 4350063 Powerfarm 95 Landini Powerfarm 95 tractor Parts Catalog. Service (workshop / repair) manual. Operation manual. 4350064 Powerfarm 105 Landini Powerfarm 105 tractor Parts Catalog. Service (workshop / repair) manual. Operation manual. 4350065 Powermaster 180 Landini Powermaster 180 tractor Parts Catalog. Service (workshop / repair) manual. Operation manual. 4350066 Powermaster 200 Landini Powermaster 200 tractor Parts Catalog. Service (workshop / repair) manual. Operation manual. 4350067 Powermaster 220 Landini Powermaster 220 tractor Parts Catalog. Service (workshop / repair) manual. Operation manual. 4350068 Rex 60 GE/F Landini Rex 60 GE/F tractor Parts Catalog. Service (workshop / repair) manual. Operation manual. 4350069 Rex 60 V Landini Rex 60 V tractor Parts Catalog. Service (workshop / repair) manual. Operation manual. 4350070 Rex 65 V Landini Rex 65 V tractor Parts Catalog. Service (workshop / repair) manual. Operation manual. 4350071 Rex 70 GE/F Landini Rex 70 GE/F tractor Parts Catalog. Service (workshop / repair) manual. Operation manual. 4350072 Rex 70 V Landini Rex 70 V tractor Parts Catalog. Service (workshop / repair) manual. Operation manual. 4350073 Rex 75 GE/F/GT Landini Rex 75 GE/F/GT tractor Parts Catalog. Service (workshop / repair) manual. Operation manual. 4350074 Rex 80 GE/F Landini Rex 80 GE/F tractor Parts Catalog. Service (workshop / repair) manual. Operation manual. 4350075 Rex 80 V Landini Rex 80 V tractor Parts Catalog. Service (workshop / repair) manual. Operation manual. 4350076 Rex 85 F/GT Landini Rex 85 F/GT tractor Parts Catalog. Service (workshop / repair) manual. Operation manual. 4350077 Rex 90 F/GT Landini Rex 90 F/GT tractor Parts Catalog. Service (workshop / repair) manual. Operation manual. 4350078 Rex 95 F/GT Landini Rex 95 F/GT tractor Parts Catalog. Service (workshop / repair) manual. Operation manual. 4350079 Rex 100 F/GT Landini Rex 100 F/GT tractor Parts Catalog. Service (workshop / repair) manual. Operation manual. 4350080 Rex 105 F/GT Landini Rex 105 F/GT tractor Parts Catalog. Service (workshop / repair) manual. Operation manual. 4350081 Technofarm 60 Landini Technofarm 60 tractor Parts Catalog. Service (workshop / repair) manual. Operation manual. 4350082 Technofarm 70 Landini Technofarm 70 tractor Parts Catalog. Service (workshop / repair) manual. Operation manual. 4350083 Technofarm 75 Landini Technofarm 75 tractor Parts Catalog. Service (workshop / repair) manual. Operation manual. 4350084 Technofarm 80 Landini Technofarm 80 tractor Parts Catalog. Service (workshop / repair) manual. Operation manual. 4350085 Vision 80 Landini Vision 80 tractor Parts Catalog. Service (workshop / repair) manual. Operation manual. 4350086 Vision 85 Landini Vision 85 tractor Parts Catalog. Service (workshop / repair) manual. Operation manual. 4350087 Vision 90 Landini Vision 90 tractor Parts Catalog. Service (workshop / repair) manual. Operation manual. 4350088 Vision 95 Landini Vision 95 tractor Parts Catalog. Service (workshop / repair) manual. Operation manual. 4350089 Vision 100 Landini Vision 100 tractor Parts Catalog. Service (workshop / repair) manual. Operation manual. 4350090 Vision 105 Landini Vision 105 tractor Parts Catalog. Service (workshop / repair) manual. Operation manual.